The Drifter Lo Ballistic is a tough, durable boot with aggressive styling. The unique nylon upper makes this boot both strong and breathable. 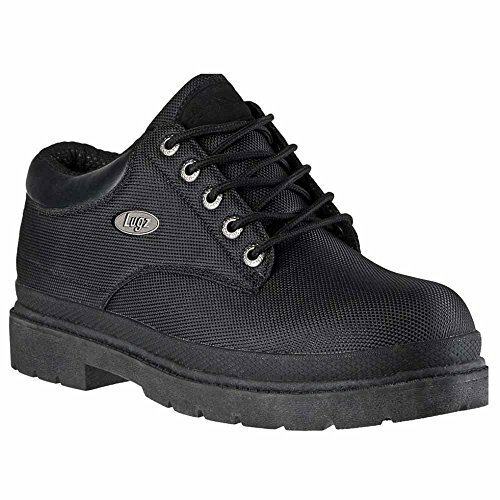 Four-eye lace-up front with Lugz-branded metallic eyelets and round laces for optimal fit. Lugz metallic nameplate detail. Rubber-wrapped banding on midsole. Durable outsole for great grip. Welt construction. Imported. Measurements: Weight: 1 lb 6 oz Product measurements were taken using size 12, width D - Medium. Please note that measurements may vary by size. If you have any questions about this product by Lugz, contact us by completing and submitting the form below. If you are looking for a specif part number, please include it with your message.